Universal support: Can be used with both iPads and iPhones. 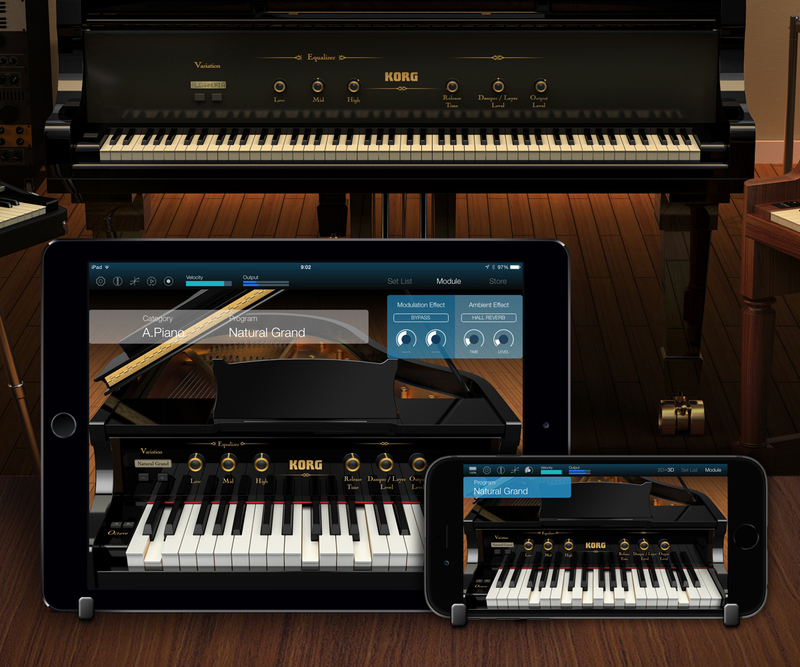 "80's Electric Piano" and "Mellow Tape Keyboard" are newly available in the expansion sound library. "TRITON Best Selection" is newly available in the expansion sound library. Master tune - professional tuning range from 420 Hz to 460 Hz. An issue that caused an unnecessary backup of "Ivory Mobile Grand" and "Wurley Electric Piano" in your iCloud is now fixed. Please ensure that you remake your iCloud back up in the iOS settings after updating. Supported parameter edit via MIDI Control Change. Please assign control change numbers according to the Owner’s Manual inside the App. 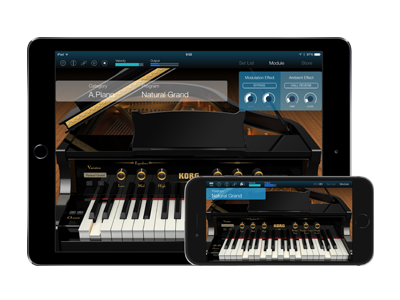 The latest version of the KORG Module is available on the App Store. A free upgrade is available to users who have already purchased a previous version of the KORG Module.